Get your club involved in WOW! Is your club looking to participate in the WOW 2019 Club Showcase? We'd love to have your club set up a booth during our Club Showcase so you can show new and current students what you've been doing! If your club is interested in participating in WOW 2019, please fill out the Interest List below and look out for an email from orientationclubs@calpoly.edu in the coming months about further steps. Additionally, feel free to read below to learn about the different opportunities we have for clubs to get involved, including hosting events during The Week or setting up booths at Club Showcase. Below, you can find more information about the different ways your club can get involved during WOW, as well as sign up for our Interest List. Be sure to keep checking this page along with your email listed in the Interest List for more information about WOW 2019. If you have additional questions, be sure to take a look at our Week of Welcome page for more information about the Week as a whole, or reach out to us at orientationclubs@calpoly.edu with your questions and we'll do our best to help! Host a WOW event for individual or a small amount of WOW groups during WOW so new students can learn more about your club on a more personal level. We will work with you to bring off-campus vendors to Cal Poly and you can sponsor this event. Indicate interest for being an Event Host during The Week at the bottom of this page to get updates on further steps. 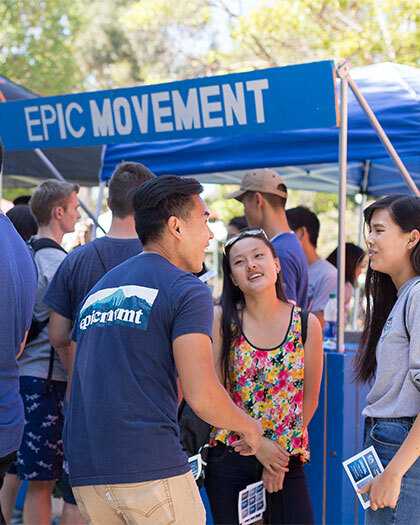 Club Showcase is an opportunity for new students to meet Cal Poly Clubs and find various ways to get involved on campus. Thanks to 2017 and 2018 Participants! Thank you from all of us at Orientation to our participants in WOW 2017 and 2018's Club Showcase and to those we worked with through our Event Host opportunities — we look forward to seeing you again during WOW 2019! If you're like us to send you updates about Club Involvement opportunities for our programs, fill out the interest list form below and we'll keep you in the loop.